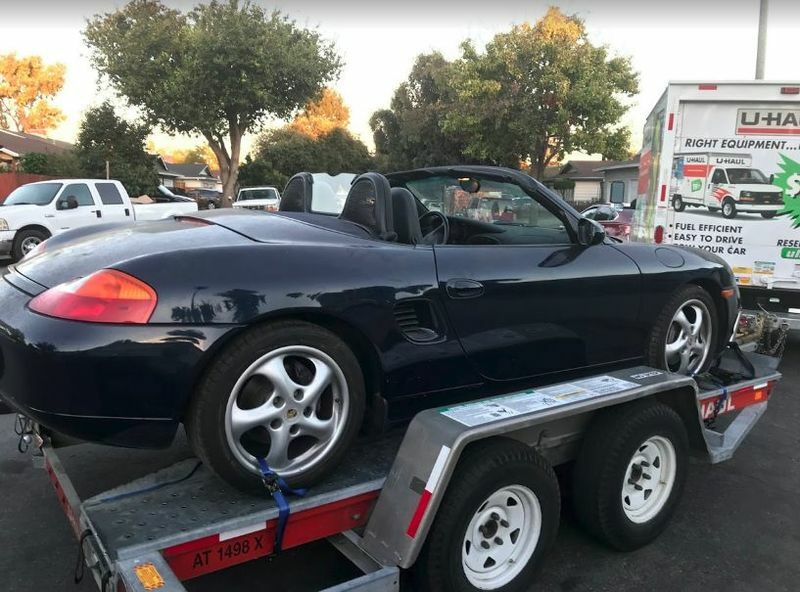 I`m totally new to this Boxster thing, I`ve never owned a Porsche, the only boxer I had was an old BMW motorbike I was looking for another convertible as my SAAB is getting old and I bumped into this blue Boxster long abandoned and covered with thick dust in a garage on craigslist. It had been sitting for 11 years, allegedly the engine had IMS failure and not salvagable. As I have an invincible attraction to challenges with predictably negative outcome, I purchased it. I hauled it home and took the engine out of the chassis for further inspection and disassembly. For sure I will have to replace the clutch, a few cables and wires that got eaten or chewed by the previous inhabitant (most likely an opossum), and the list is certainly gonna be growing when I take a peek into the engine. As this is totallly an unknown field, I`m looking forward to seeing how this all will work out and I appreciate the tons of help on the forum along the way. Welcome! I am a big fan of blue Boxsters! I would be interested to know if this '99 actually had an IMS failure once you get the engine apart, or if they just assumed it did due to all the hype around that type of failure. The '99 has the dual row IMS which has a <1% failure rate, versus the higher rates of the single row IMS starting on '00/'01. Thanks, I`m curios to see the bearing too! I just drained the oil, it was clean, so I don`t really expect a big damage inside.. The car has only 100000 miles in it and everything seems to be original. I`ll keep you posted! Update: original IMS bearing seems totally fine after 100k miles. Chain guide rail broke and messed up the timing. Definitely salvagable. Did you have to drain the gas? i just got a 99, sat for 4 years 1/2 tank of gas. it looks like the only option is to unhook filter turn on the ignition and get it out that way, at least before i unscrew the gas plug. i made the mistake if putting a 3/8" hose down the gas tank, don't do it-it gets caught and took forever to back it out. more than a 10-15 seconds so i figure i'll clean up a few items 1st.